What it was like to grow up after losing parents at a young age. How your life experience creates a unique lens from which to view your world. Why sharing a personal life story is important . How knowing that “life is short” can affect your perspective on everything. How your ability to focus on the future can help tremendously. Why learning to accept the past is super important to move forward and thrive. This week our host, Suzy Rosenstein, shares her personal story about experiencing early parental death. 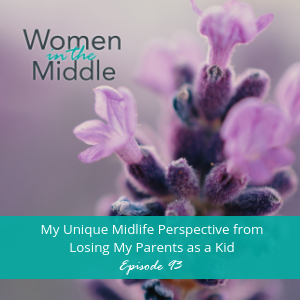 The topic is about what it’s been like for her as a midlife woman, to outlive her parents and the perspectives and lessons she’s learned as a result. When both of your parents die so young, you know your situation is a little unusual. Suzy explains that she never had friends who went through anything similar. As a kid, you’re don’t want to be different for any reason. This is just the type of experience that helps you understand what the expression “life is short” really means and how relevant it is in midlife. 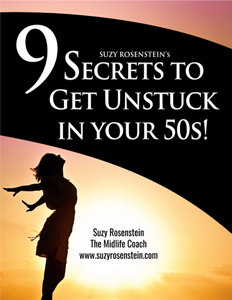 It’s so common to waste time feeling stuck in midlife, but when you know deep in your soul that life really is short and unpredictable, it can help you be motivated to live life more fully. Suzy talks about the kind of feelings that she found more useful in her life to cope and stay focused on the future. She also shares five main perspectives and observations from her personal experience that for sure have lessons for everyone to learn from. As a woman in the middle, it’s important to focus on your future. The bottom line is that you can actively choose how you want to think and feel about things you can’t change. Thoughts create feelings. Thoughts are subjective. This is incredibly empowering.